The biggest meal of the day for us is lunch. We usually have a very simple and light dinner. And also because sometimes I go back home late after work, I don’t have much time to cook dinner. Normally, my husband and I have lunch together at home having home-cooking food. But he needs to meet with colleagues or professors occasionally, under which circumstance he can’t have lunch at home. 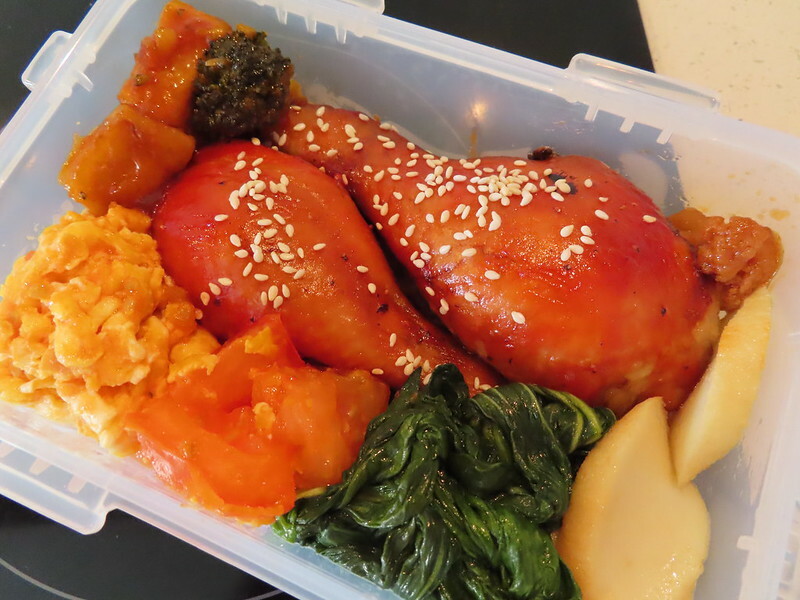 So I came up with this idea – putting lunch in his bento box and keep it for his dinner. Meat and vegetable are must-have dishes. For green vegetables, and fish cake, It’s very simple. Just fry them with a little oil and season with salt. The bottom layer is brown rice. The sauce from tofu and chicken will go into rice and add more flavor. I also made some bean soup (including red bean, red kidney bean, black bean, black sesame, barley and red date) . And kept the soup in a monkey bottle. I put them in the fridge. When I come back from work, I can just reheat the bento in microwave. My husband likes cook drink, so cool bean soup is perfect for him. 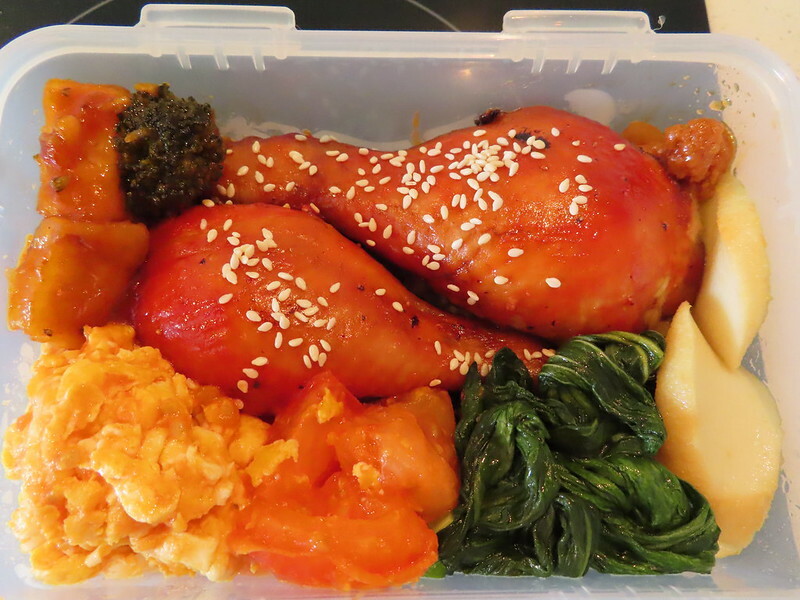 To me, this bento method is really convenient. Another good thing about bento is that my husband can’t be picky on food. He prefers to have more meat when we have lunch together. With bento, he had no choice but to finish all the vegetables I prepare for him. Bento box is better made of glass.